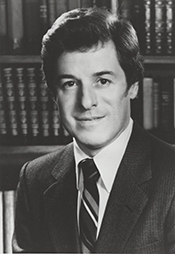 FLORIO, James Joseph, a Representative from New Jersey; born in Brooklyn, N.Y., August 29, 1937; attended the public elementary schools in Brooklyn; received high school equivalency diploma from State of New Jersey; B.A., Trenton (N.J.) State College, 1962; graduate work, Columbia University, New York, 1962-1963; J.D., Rutgers University Law School, 1967; admitted to the New Jersey bar in 1967 and commenced practice in Camden; served in United States Navy, 1955-1958, ensign; lieutenant commander, United States Navy Reserve, 1958-1975; assistant city attorney for Camden City Legal Department, 1967-1971; solicitor for the New Jersey towns of Runnemede, Wood-Lynne, and Somerdale, 1969-1974; assemblyman, New Jersey State Legislature, 1970-1974; unsuccessful candidate for the nomination for Governor of New Jersey in 1977 and unsuccessful candidate for Governor in 1981; elected as a Democrat to the Ninety-fourth and to the seven succeeding Congresses and served from January 3, 1975, until his resignation January 16, 1990; elected Governor of New Jersey in 1989 and served from January 16, 1990, to January 18, 1994; unsuccessful candidate for reelection in 1993; is a resident of Gloucester Township, N.J.
Aron, Michael. Governor's Race: A TV Reporter's Chronicle of the 1993 Florio/Whitman Campaign. N. p., 1994.